Do you ever find yourself on a Wednesday evening wondering what to make for supper? Here’s your answer. 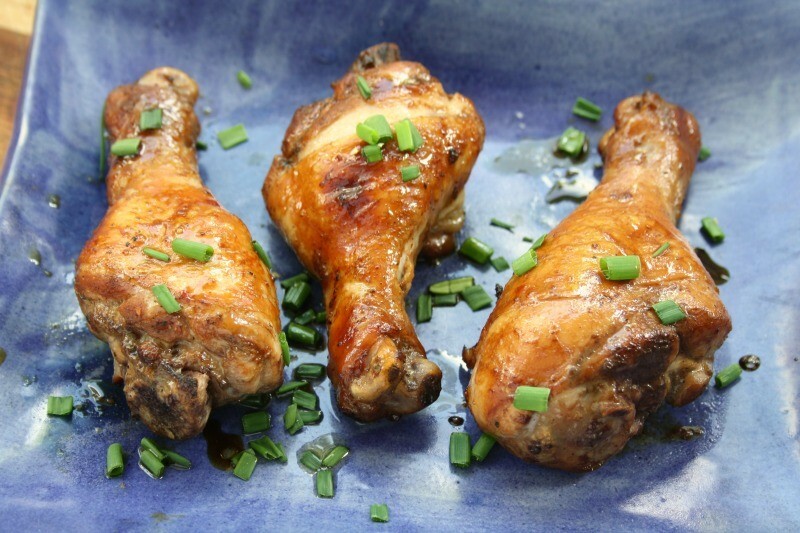 This four-ingredient marinade is a flavourful way to eat relatively quick-cooking chicken drumsticks. 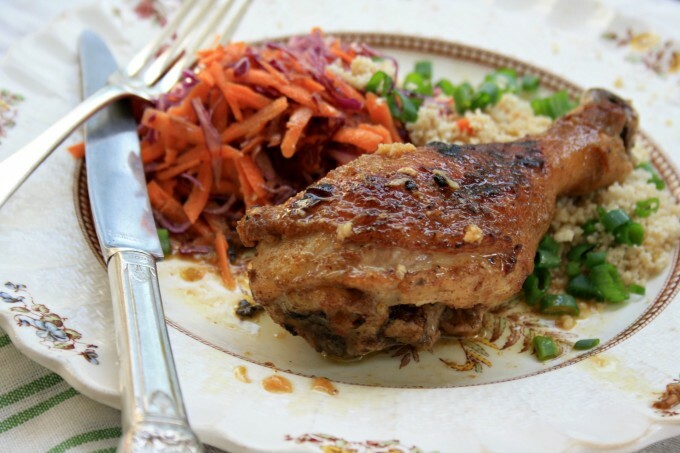 Simply mix it up in the baking dish, add the drumsticks, toss to coat and pop them in the oven. While the chicken is cooking you can mix up your salad and may be cook a little rice or quinoa. Roast some chopped zucchini and peppers alongside if you’d like, and in about 30 minutes your meal is ready without a whole lot of effort on your part. 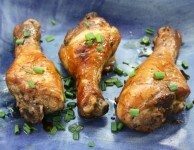 My kids go crazy for drumsticks and loved this recipe. 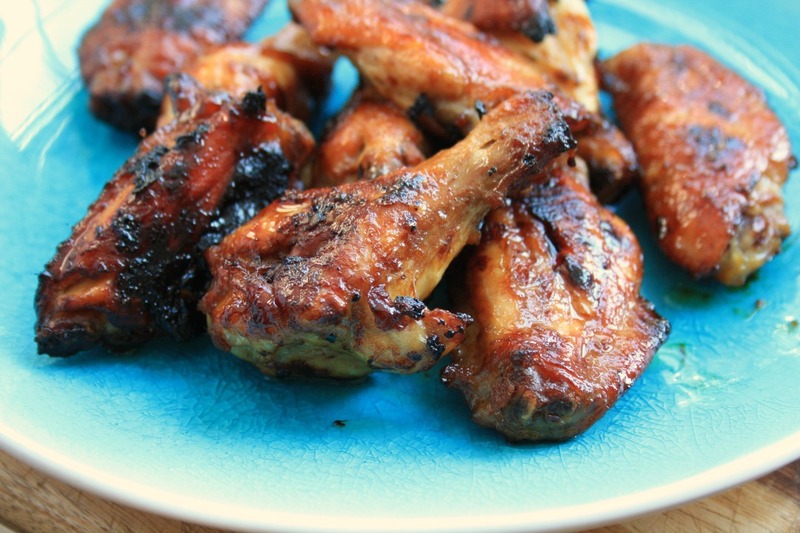 They love food that you can eat with your hands and the seasoning in this recipe is just right. Feel free to adjust the amount of soy sauce, depending on how salty you like your food. You’ll find that the balsamic vinegar strikes a good flavour balance with the soy and molasses and provides some acidity to help the marinade penetrate the meat a bit. This chicken is good served cold as well. In a baking dish large enough to fit the chicken in a single layer combine the four marinade ingredients. Add the chicken and toss to coat, using your hands to rub the marinade into the chicken. Garnish with chives before serving.